It's Saturday, and once again I am in my crafty space. Therapy. 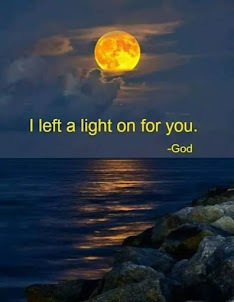 This is the best cure for what ails me. This morning I was inspired by Julie Ebersole's tag in the Day 3 post of the 12 Tags of Christmas With a Feminine Touch over at Ellen Hutson's The Classroom. 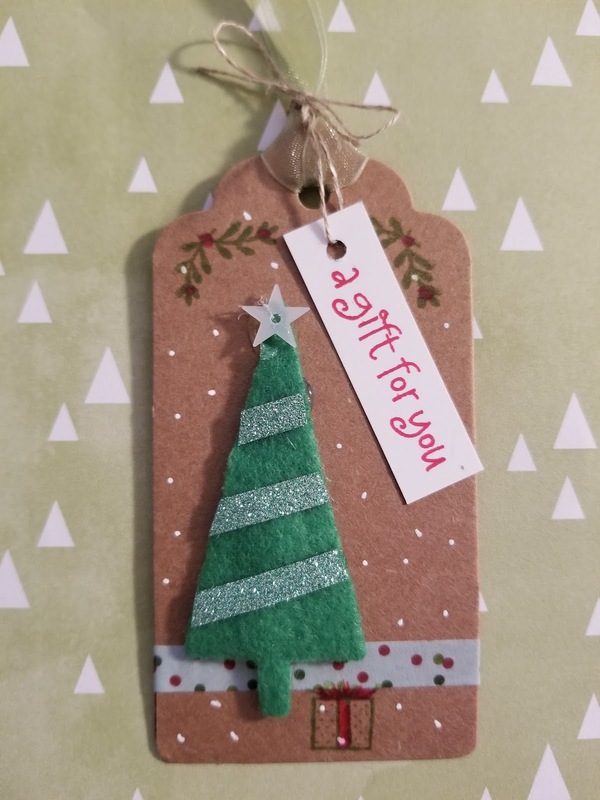 What I liked about Julie's tag: Using felt with a die. I am not a big textile user, so this was a challenge:). My first tag, with the Christmas tree, seemed to take forever! I used a glue gun and burnt my finger tip when trying to adhere the tree down. Not doing that again! And the green felt wasn't very sturdy so a few other trees came apart and were trashed. However, the second tag was so much easier to make. 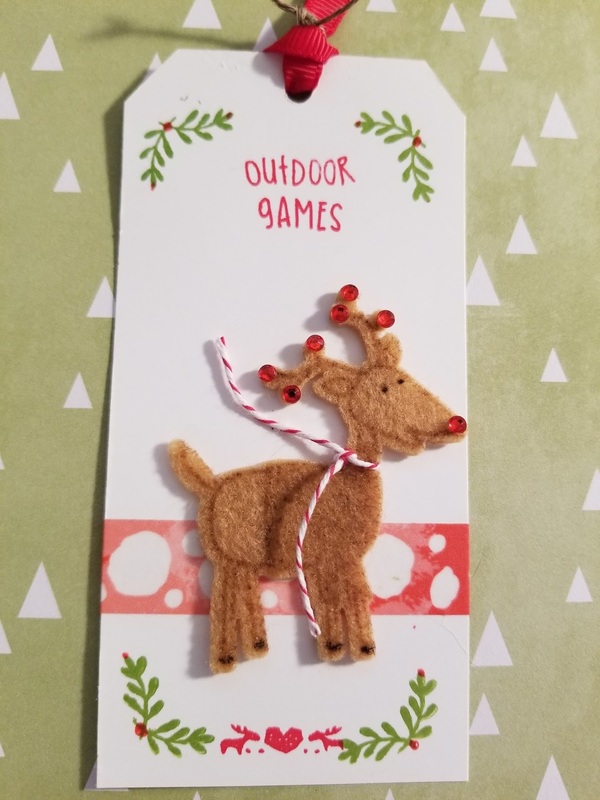 The felt cut wonderfully, and I actually had fun created that cute little reindeer! Which, by the way, was stamped first, and then I placed the die over the stamped image to cut the felt. For the reindeer I used permanent adhesive on the tag first, then placed the felt on top. Ta Da!